The revolutionary Mahindra Navistar trucks, manufactured by the Mahindra Navistar Automotives Ltd. (MNAL) are now on the roads. 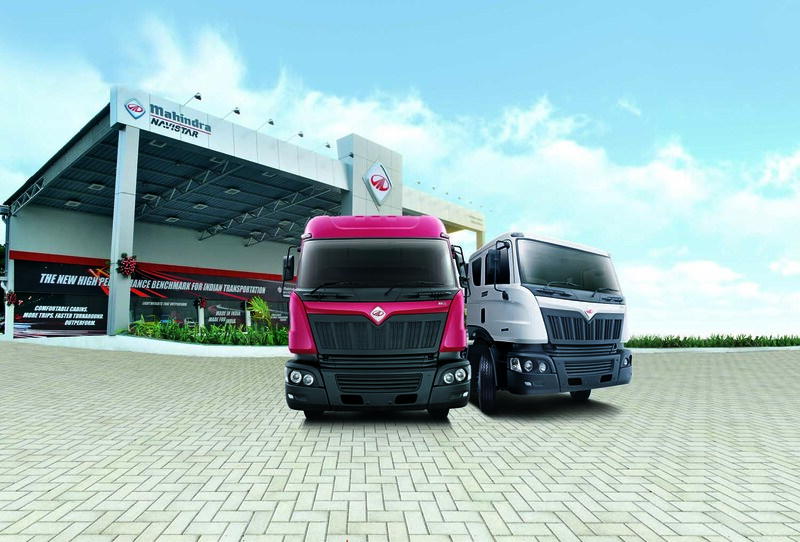 At Navistar, it is of paramount importance to provide remarkable performance resolutions to all our consumers through Mahindra’s expertise and finesse. “I have been using MN31 for past 3 months now and it has covered 17000 kms. The performance of MN31 is extremely good and gives me one and a half month additional earning. We are getting excellent output & mileage and also happy with the service provided by Mahindra Navistar. We are proud to own the MN31 and have already started recommending it to fellow transporters” - Rakesh Kumar Raushan, Ajeet Bricks, Muzaffarpur. “I have been using MN31 for the last 3 months now covering 22000 kms. My MN31 is giving me a better fuel average compared to other vehicles in my fleet. The maintenance cost is also less as the Mahindra Navistar Service team takes good care of my vehicle. Drivers feel it easy to maintain the cabin since it is spacious, easy to clean and easy to do daily checks. On account of all this, I earn more profits on my MN31 compared to other vehicles in my fleet. I am happy with the performance and would surely recommend it to truck owners who want to get more profits out of their trucking business” – Anjani Roadways, Jaipur. ”I have more Peace of mind with my MN31 vehicles as the trucks do not trouble me on Maintenance and mileage. My truck drivers are happy to drive them as Mahindra Navistar trucks have a spacious and comfortable cabin. The trucks are easy to maintain and more Safe in terms of braking compared to other vehicles in my fleet.” – Vinay Pratap Singh, Jai Maa Transport. “My MN25 has covered a total of 15000 kms. I am very happy with the performance of the truck and now planning to purchase 3 more MN25 trucks. I am pleased by the support of the Mahindra Navistar service team. The vehicle is easy to maneuver and hence my drivers can travel long distance without much physical fatigue. I am very proud of the results produced by the vehicle and will definitely recommend this to fleet owners who are ready for a change.” –Manager, Vanitha Transport, Chennai. Fuel prices – No longer Ok! Indian Truck Drivers: Do they drive in Peace?